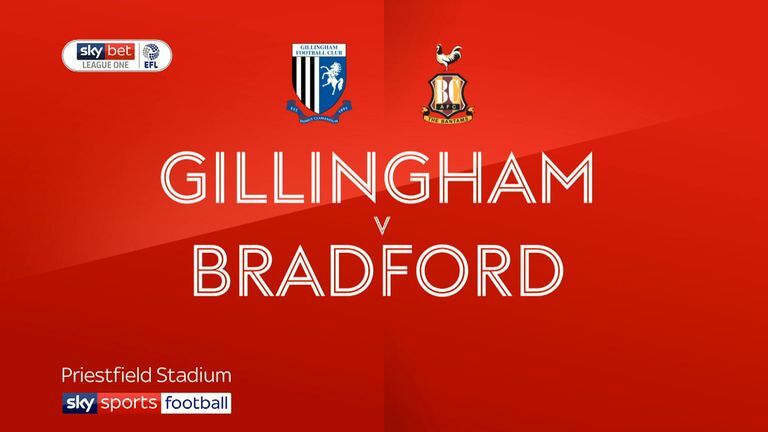 Gillingham claimed their first home league win since early August as Tom Eaves' second-half double helped them to a 4-0 victory over bottom side Bradford City. Former Charlton trainee Regan Charles-Cook curled in his first goal in league football to put the hosts in front three minutes after the break. Eaves saw his 62nd-minute penalty saved by Richard O'Donnell following Connor Wood's handball, but fired home from an acute angle shortly after to double the hosts' advantage. Substitute Elliott List capitalised on poor City defending on 69 minutes to consign David Hopkin's side to their 13th league defeat in 17 games. 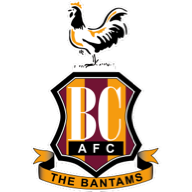 And Eaves earned the Gills their biggest win since September 2015 and piled the misery on the Bantams when he headed home late on from Barry Fuller's cross. Struggling City were made to pay for a number of missed chances in the opening half. 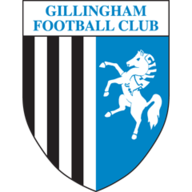 Gillingham right-back Luke O'Neill cleared Lewis O'Brien's shot off the line within the opening 100 seconds before goalkeeper Tomas Holy produced a great save to deny Jack Payne. David Ball's header from a Payne corner was disallowed for offside and former Gillingham midfielder Josh Wright headed straight at Holy shortly before the break.